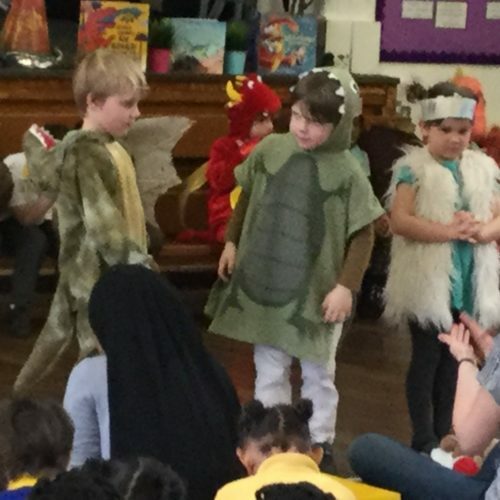 You all did a fantastic performance in our dinosaur class assembly! Which was your favourite part? Did you enjoy stomping like a T-Rex? Or flapping like a pterodactyl? Or did you enjoy singing the most? I loved all of it!